The stunning duo of blue and clear crystal is the picture of elegance for your next awards event! 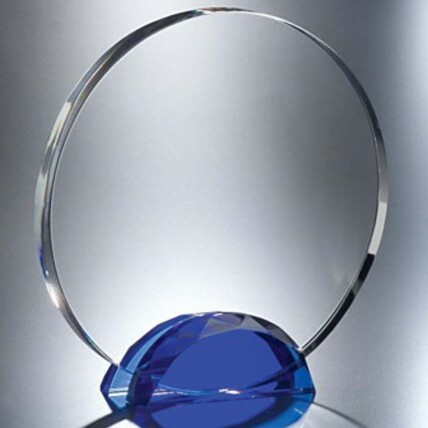 The Faceted Blue Base Circle Crystal Awards feature a large clear crystal circle nestled in a beautifully faceted blue crystal base. What better way to show your appreciation than with these wonderful crystal awards! Free etching included!